A wee 9 week Nora would pump her arms and legs and look at us with bright eyes. She’d sometimes open her mouth but no sound would come out. Eventually, she’d come out with a “glllgg” or an adorable high pitched sigh. 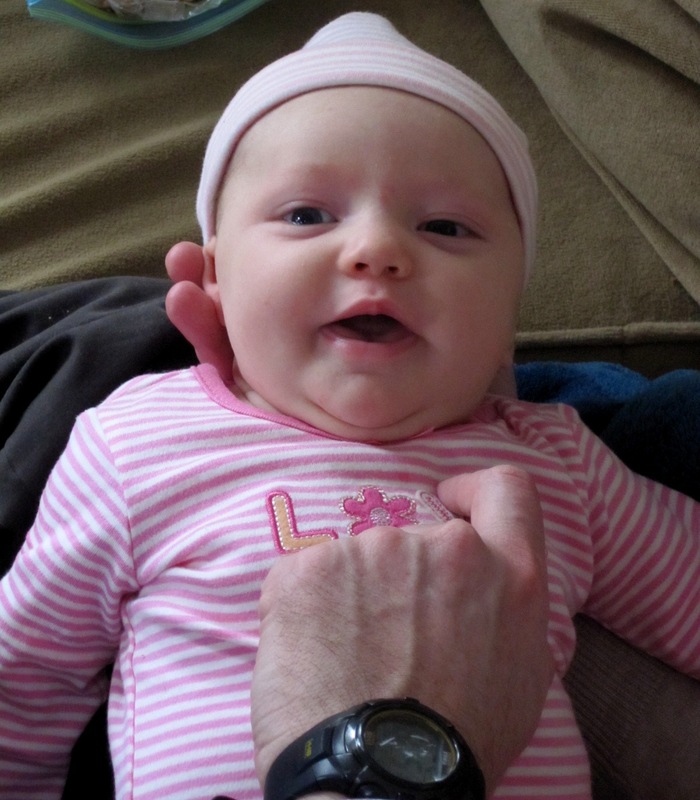 At ten weeks, Nora has found her voice. She has started opening her mouth wide and letting out a mighty squeal or exclaiming, “Ahhhh! Ahhhh!” Her cries have become much squeakier lately, which seems to me to be a complaint rather than a full on cry. “Olga!” Nora says to which we reply, “You keep asking for her, but we’ve told you we can’t afford a maid.” When she’s upset, she cries out “Abu!” which we assume is in reference to the sassy but kindhearted monkey from Aladdin. “Hooah!” she says sometimes, to quote one of her favorite actors, sir Al Pacino. And she’s so close to laughing — can’t wait for that one!